Condominium associations regularly represent all of their unit owners as a consolidated class of litigants in cases challenging their local county ad valorem property tax appraisal assessments. However, a vital segment of the representation that associations provide their owners in such actions may soon be coming to an end as a result of a recent Florida appellate court ruling. 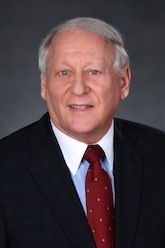 The ruling in March by the Third District Court of Appeal in Central Carillon Beach Condominium Association v. Garcia surprised many of the attorneys who focus on this highly specialized area involving condominium and real estate tax law. It found that unit owners cannot join together as a class to respond to a county appraiser’s appeal of an assessment reduction because the law requires that the defendant in such appeals must be the taxpayer. The result could be deleterious for Florida property owners and circuit courts, and it demands a legislative fix during next year’s session. The case pitted two Miami Beach condominium associations against the Miami-Dade County property appraiser and the county’s legal department. It began in 2015 when the Central Carillon Beach Condominium Association and the 2201 Collins Avenue Condominium Association both filed a single joint petition with the Miami-Dade County Value Adjustment Board challenging the county appraiser’s proposed assessments for all of the units in their buildings. The conditions for such joint petitions under the ad valorem tax statutes, which include owner opt-out notices and a determination by the appraiser that the units are substantially similar, were satisfied, and the petition was heard and ruled upon by the VAB. The board’s ruling awarded substantial reductions in assessed values for the unit owners (approximately 20 percent for the Central Carillon owners and 40 percent for 2201 Collins), and the county appraiser subsequently appealed the VAB’s determinations to the circuit court. However, each of the appraiser’s suits named individual unit owners as defendants, rather than suing the associations on behalf of all of their unit owners. The associations responded by moving to dismiss and seeking joint representation for all of the owners as a defendants’ class action, and the appraiser countered by moving to default all of the unit owners for failing to file individual responsive pleadings. In separate but nearly identical orders, the trial court denied each association’s motion to dismiss and also denied their motions for certification of the unit owners as a defense class. 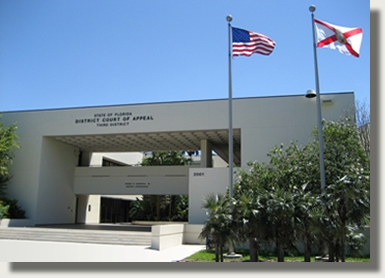 The judges found the answer in the plain language of the statute governing parties to tax suits stating that the “taxpayer” shall be the party defendant in an action brought by the county property appraiser to appeal a decision of the VAB. The term taxpayer is defined to mean “the person or other legal entity in whose name property is assessed, including an agent of a timeshare period titleholder,” so the law dictates that the individual unit owners must be the defendants and not the associations, which do not pay the taxes in question. The panel disagreed with the associations’ argument that the taxpayer defendant requirement is contrary to the specific rights of collective representation given to them under the state’s condominium laws. The law states that associations may “institute, maintain, settle, or appeal actions or hearings in its name on behalf of all unit owners concerning matters of common interest to most or all unit owners including … protesting ad valorem taxes on commonly used facilities and on units.” It found that the associations in this case had protested the ad valorem taxes administratively on behalf of all units as the law allows, but the lawsuits brought by the county property appraiser against the individual unit owners are not “protests” but rather judicial review proceedings in which the unit owners are defendants. This appellate ruling, which appears to be the first on this issue, could present a significant windfall for county property appraisers and their collections efforts. The appraisers understand that it will present challenges for all of the unit owners to respond to appeals of VAB decisions individually rather than en masse through their associations. They will adhere to the new playbook established by this ruling of issuing these suits against the individual unit owners rather than the associations, and the state’s other courts are likely to follow the Third DCA’s reasoning and place the onus on the owners rather than the associations to defend their reduced property tax assessments. Our firm salutes Michael for sharing his insights into the ramifications of this ruling with the readers of the Daily Business Review. Click here to read the complete article in the newspaper’s website (registration required).